Fun and playful. This really sums up this lighthearted photo! 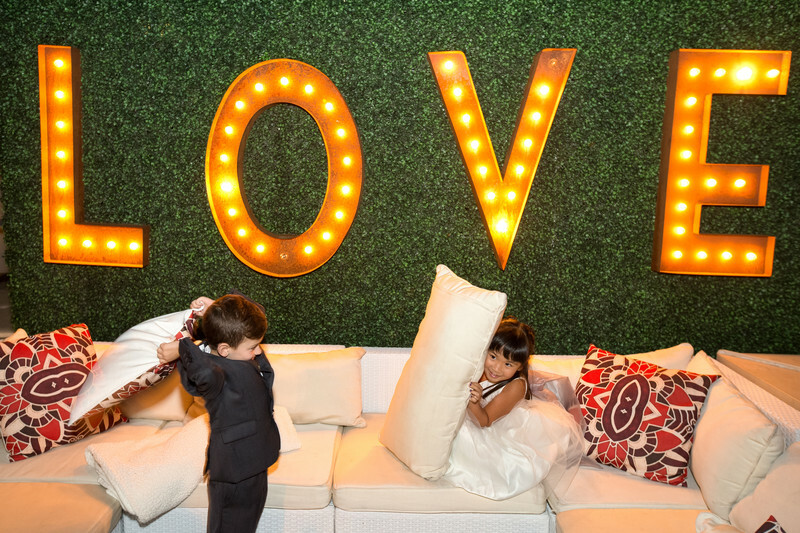 Their pillow fight being offset by the text LOVE adds to the visual and humorous impact.